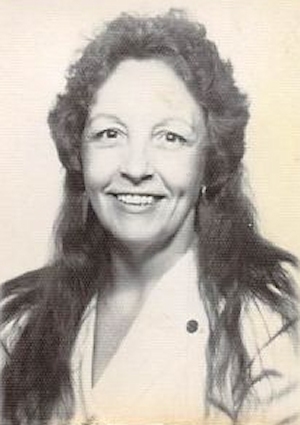 Obituary – Myers, June Marie (Horton) « Perry High School Alumni Association, Inc.
June Marie (Horton) Worden, 68, passed away at her home in Stillwater, Oklahoma. Memorial services will be at the Brown-Dugger Funeral Home Chapel on Saturday May 14, 2016 at 2:00 at Brown-Dugger Funeral Home Chapel. 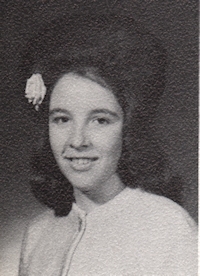 June was born June 12, 1947 in Perry, Oklahoma to John and Vira (Bobbie) Horton. June graduated from Perry High School. She married Charles Langley and gave birth to a son, John Langley. Charles was killed in a automobile accident soon after. June married John Worden and gave birth to two sons, James and Jason Worden. June lived most of her life in or around Perry. She was a survivor. Her greatest passion was her babies; she loved all her kids and grand kids. June loved to fish; she would go fishing at a moment’s notice. She also loved to bake cakes and go to garage sales. June was preceded in death by her parents, and both husbands. She leaves behind her sons, John Langley and wife Penny, James and his wife Lolly, Jason and his wife Cara, 2 aunts, Libbie Chenoweth Norton, Mary Chenoweth Goodwin, and her Uncle Bill Chenoweth, 12 grandchildren and 13 great grandchildren.